A chopped sweet potato with a little bit of olive oil, a pinch of sea-salt, a healthy covering of brown sugar and a sprinkling of rosemary make for a mighty delicious snack. I’m wild about the mixing of salty and sweet, wild I tell you! ← get your dance on. OMG, baked or pan-fried?! I actually HAVE a sweet potato right now and this = YES.. Baked! I use a 9×13 casserole dish. Rosemary. Yup, that’s one of the things I remember about living with you. Always with the rosemary. Great picture. 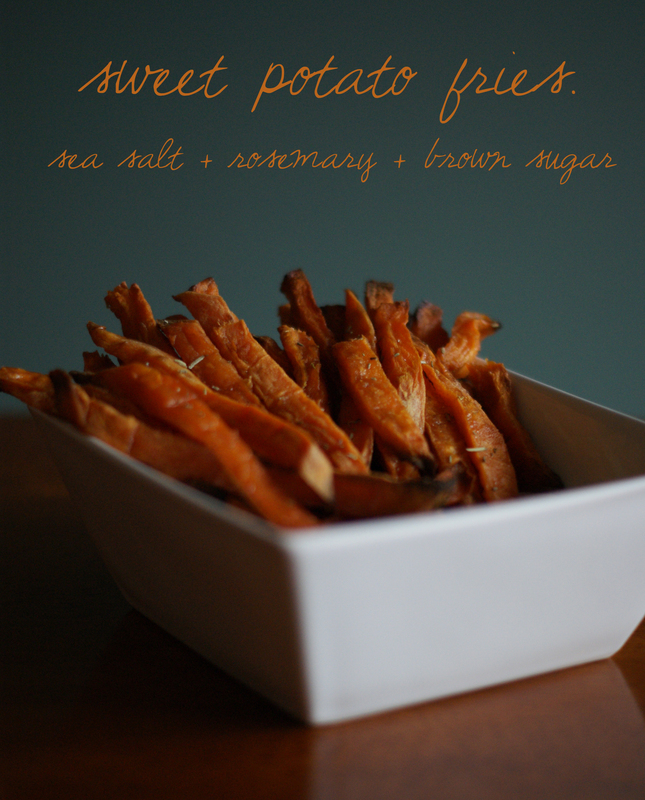 we LOVE sweet potatoes- such a good way to do them! Love sweet potatoes and brown sugar with a bit of cinnamon! Your way sounds pretty yum too!